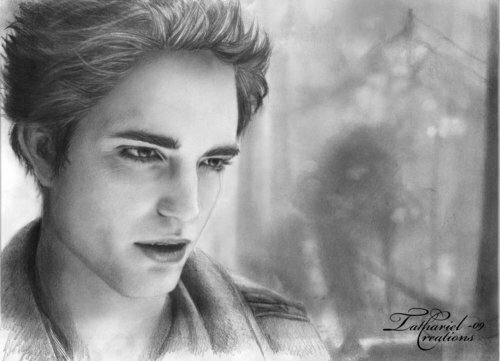 E.C. . HD Wallpaper and background images in the 爱德华·卡伦 club tagged: twilight edward cullen robert pattinson vampire fanarts. This 爱德华·卡伦 fan art might contain 肖像, 爆头, 特写镜头, 特写, and 爆头特写. This is really véry nice! It looks really good I love how the shading blends so well.